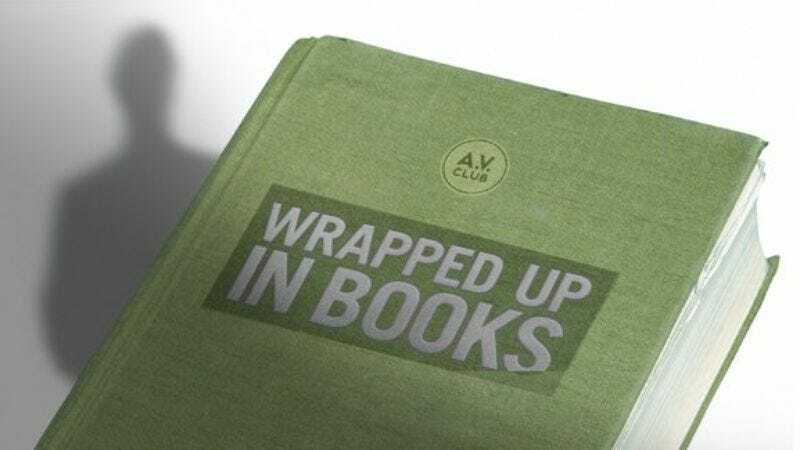 Wrapped Up In Books is The A.V. Club’s monthly book club. We’re currently discussing this month’s selection, Beryl Bainbridge’s Watson’s Apology, in a series of posts to be followed by a live online chat today at 3:30 p.m. CST. Join us here this afternoon. Zack Handlen: And here is where I expose more of my ignorance than usual. I don't really know anything about the court case which inspired this book, apart from what the book itself tells us. Bainbridge wrote several novels of historical fiction, and generally, she focused on more obvious subjects. Every Man For Himself takes place aboard the Titanic; The Birthday Boys follows Captain Robert Scott's 1910-1913 Antarctic expedition; Master Georgie is set during the Crimean War; Young Adolf is about Hitler. These are novels that attempt to shock us out of our expected understanding of past events. Bainbridge's earlier novels are often exceptional, but it's easier to recommend a book about Samuel Johnson than it is to sell someone on "Oh, it's about this family, see, and they're quite unhappy, and then things happen, and they're unhappy still." Bainbridge deals in alienation, regret, and the general incomprehensibility of human interaction, and by placing these themes in the context of history, makes for a juxtaposition between how history creates stories, and how life rarely does. I don't have a huge amount to say about this topic. I mainly raised it because I hoped someone else might. Historical fiction can be stodgy or overly venerable, and I don't think either adjective can be applied to Apology. While her descriptions of the period are grim, they are grimly specific, and there's a cursed, sick vitality to the scenes—like the constant buzzing flies, the sickening heat, the dead dogs, the orange floating in filth—that makes the time breathe, however awful that breath smells. The Victorian era which provides the book with its place doesn't seem that much removed from our own, for all its ugliness. Wives are murdered every day, and uncomfortable, unfortunate people like the Watsons can be found at every faculty meeting at every campus the world over. The gap between our expectations for love and what we actually manage to find of it in the real world will always be relevant. So, I'm curious: does anyone know anything about the actual case this book was based on? Are there any regular readers of historical fiction out there, and if so, how did Apology stand up? And would it have made much difference to your experience with the novel if it hadn't been based on something that actually happened? I'm not sure on that last one, myself. It's fun to wonder just how close to the facts Bainbridge stuck, and whether her suppositions of intent were anywhere close to the mark. (I think she has a had good grasp of the mindset of the period, or at least she's a convincing enough writer that I believe her conception of it.) Besides, there are thousands of novels about murders, and many of them about bad marriages; something about the weight of fact behind this one makes it matter more. Anyway, hope you enjoyed it, and I highly recommended more Bainbridge. Her books take maybe an afternoon to read, but the taste lingers. But I think Watson's Apology benefits from not being strewn about with famous incidents and famous people. My experience with historical novels often features a jolt—often pleasurable, but sometimes simply distracting—when people whom we know from other contexts make their entrance into the narrative. Here, again, they are all kept offstage, spoken about but never speaking. That creates a space, I think, for these characters to stand in their full humanity. They are real, too, but not filled in by the brush of history. Bainbridge is free to use her art to put flesh on their bones, and what's pleasing about this book is that she does so with some compassion—she feels through them—but without much sentimentality or excessive imposed sense-making. The figures here do not feel as if they are living out a pre-ordained life, though of course they are marching toward ends that history has already given them. They have their own reasons, largely mysterious to us, and that gives them life on the page. It's as if Bainbridge is writing a cautionary historical novel—one that warns us all away from the overdetermination of history in terms of our understanding. In the past, to the extent that the past is constructed by the decisions and acts of people acting freely in response to drives both known and unknown, lies the mystery we will never solve. Not what happened, but why, and what we should take it to mean. Leonard Pierce: You're right, I think, Donna—I think too much historical intrusion would have taken us away from the central human reality of the story. (And I think there's little moments in the book where Bainbridge illustrates that point, as when Anne peppers her conversation with reference to the Irish Home Rule movement, not because she really cares about it, but because she thinks it will make people perceive her as intelligent and engaged in political affairs.) The Watson murder was something of a cause célèbre in its day, but it was less due to its historical importance than the legal circumstances involved in Watson's sentencing. If I'm the only one who knew a bit about the Watson murder before reading the novel, I'm happy to fill in a few background details, with the caveat that I'm not sure that they really matter one way or another, and that Watson's Apology can certainly be read and enjoyed without knowing them at all. As is noted in the final chapters, the defense in the Watson trial was one of insanity, a controversial topic in English jurisprudence at the time (the M'Naghten case, which set common-law rules for insanity defenses, had taken place less than 30 years prior). The case had already drawn a great deal of public attention because its shocking brutality was associated in the public mind with people of low origins, and seemed at odds with Watson's standing as a mild-mannered, respectable middle-class man of the cloth. The jury, in submitting their guilty verdict, asked the judge to show leniency based on Watson's character; this was nearly unheard of at the time, and the judge sentenced Watson to hang. This led to even further public outcry, and so the judge commuted the sentence to life, but in order to do so — as the law did not then provide for a simple commutation without cause — he had to convince the Home Office to 'reinterpret' the findings in the case and arrive at the then-novel notion of a "temporary insanity" which gripped Watson due to his wife's provocation. It was, then and now, a widely criticized finding, and more than one critic believed that it was made to spare the public the sight of a clergyman of the state church being hanged. There are two further details that I find, if not especially vital to reading the novel, at least capable of illuminating some of its dark corners. One of Watson's ongoing persecution manias involves the notion that critics are trying to destroy him by poorly reviewing his books. While history has not vindicated his genius, exactly, he did ultimately prove to be a competent and tireless translator of the classics, and his translations of certain Greek and Latin texts formed the basis of what later became the Everyman Library, a classics collection aimed at the lay reader. Watson, thus, turned out to be as big a success after his death as he felt he deserved to be in life. If he'd found that success while he still lived, would his fate—and Anne's—have been different? The other bit, which is the only point at which I can say that Bainbridge diverged in any way from the facts, is this: in the book, Watson and Anne are married in a fever. Their epistolary courtship lasts but a few months, and they marry almost immediately after meeting for the first time, thus illustrating how recklessly they embarked on their mutual doom. In reality, though, thanks to Watson's precarious finances, the two were actually engaged for several years before they tied the knot. At first, this might seem to mitigate their foolhardiness, but for me, it really only exacerbates it. That they waited so long to get married — that they spent all that more time together, time in which they surely received nothing but more evidence of their fundamental incompatibility and hints that their minor dislikes would fester into hatreds—to me simply reinforces their stubbornness and their willingness to walk the path they'd committed to, no matter how unwise it would become. Rowan Kaiser: I was a history major in college, and one of the most interesting parts of that education was discovering the different kinds of historical resources available. The textbooks and surveys that comprise “history” in high school were replaced by primary sources, in-depth research papers on single subjects, novels, and more formally experimental history texts. Perhaps the most baffling of those texts was a history of California's Modoc War. I was planning on writing a paper about the treatment of Native Americans by the US and territorial governments, using the Modoc War as a case study. I found a recently-published book on the war on inter-library loan, and waited in academic excitement for it to show up. When it did appear, I discovered that it was written in the form of a novel—chronological, chapters, no historian's “voice,” no analysis, no footnotes, and so on. I couldn't handle it. There was a bibliography at the end, and I had no particular reason to believe that it was in any way inaccurate. But the form so was so baffling to me that I scrapped the entire Modoc War focus and wrote about the subject in a completely different fashion. I bring this up because I had a similar feeling reading Watson's Apology, although it was a mirror image. This time I was expecting a novel, and got a historical reconstruction, as opposed to my Modoc War book, where I was expecting a history and got a historical reconstruction. Leonard mentioned that Bainbridge takes some liberties with the facts of the case, which prevents it from being considered a straight reconstruction, but interestingly, the inclusion of several primary source documents and trial transcripts makes Watson's Apology than my Modoc War book. There is an impressive amount of detail in Watson's Apology to make it feel historical. My favorite touch was the scene when Watson is coming home from the dentist, as he thinks about how he's treated his teeth in the past – they always ached, then they started rotting, so in order to mask the rot he kept sucking peppermints. Somehow, surprisingly, that made them hurt more! I winced in sympathy. That was an overt example of the historical nature of Watson's Apology, but I think the whole book does a good job of creating a feeling of the practical differences between Victorian England and our modern society. This is especially interesting to me, because much of the rest of the story feels more universal in its treatment of marriage, ambition, and disappointment. Todd VanDerWerff: I have tremendously little to add to this discussion. There's something to be said for the type of historical novel that is best exemplified by, say, E.L. Doctorow's Ragtime, where the cast brims with all manner of historical figure. But I also like the type of book that uses historical incidents as a springboard for a more general story that doesn't aim to educate about history so much as show that the universal human themes have, well, always been universal. Bainbridge is clearly playing in this second field, and I liked the way she gave the sense of this earlier era without rubbing it in too thoroughly. This is a book that offers a firm sense of place and character, without becoming overwhelming.